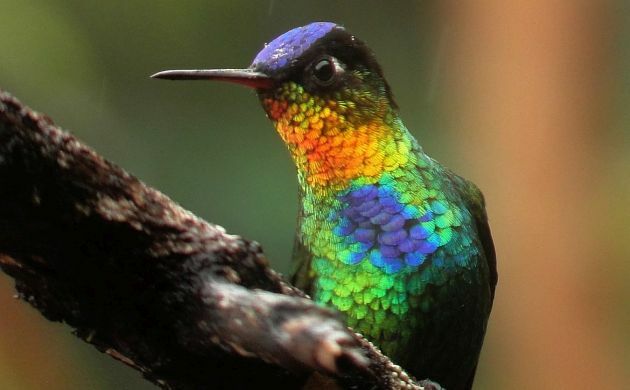 In Costa Rica, June is breeding bird count season. We have counts in gardens, counts in parks, and count routes in many parts of the country. That said, I wish we had more counts because so much of the country needs to be surveyed for birds. Protected area or not, there has been change in the air, and we need to see how the birds are responding. It’s a shame that we couldn’t have started several years ago but at least we have a few years of data to work with, and trends should also be evident from long term surveys that have been carried out by a few people for many years. This past weekend, I played my part by doing my annual route count on Poas. I look forward to watching and counting birds on the upper slopes of the active volcano visible from the house because it gets me up in the mountains at dawn, the birds are singing, and hardly anyone else is around. As one might expect with a breeding bird count, it also gives me an idea of which birds are where, and whether or not other species are still around (side benefits for guiding on that same route as well as future Big Days). It’s nice to know where the Streak-breasted Treehunters are hanging out. On Sunday, like every year, I began the count at one of my favorite spots when birding Poas, the Volcan Restaurant. Situated in a forested riparian zone, this spot can act as a corridor for everything from Yellow-thighed Finches to Long-tailed Silky-Flycatchers, and Resplendent Quetzals. Yes, those birds look as exotic and cool as their names sound, and if you hang out there long enough, you will probably see them. In the meantime, you can always enjoy the hummingbird show at their feeders. Finch a la yellow thighs. On Sunday, I didn’t stay long enough to wait for quetzals but did hear a few species, and saw several hummingbirds before moving on to consecutive points along the route. Light rain might have affected the count a bit but most birds still seemed to be singing and were somewhat similar to past years. There were a few evident changes, though, the most obvious being the presence of more Orange-billed Nightingale-Thrushes. The species has been present on certain parts of the road up to Poas National Park for several years but I never recalled them in the numbers like I had on Sunday. There weren’t even that many the previous year and given the consistent, warmer, drier weather, I can’t help but assume that the species is responding (favorably) to those conditions. At the same time, it might be displacing Ruddy-capped Nightingale-Thrushes which might be, in turn, displacing Black-billed Nightingale-Thrushes higher up the road (there seem to be fewer and fewer Black-billeds year after year). I don’t recall higher numbers of other species but did notice the absence or lower numbers of some birds. 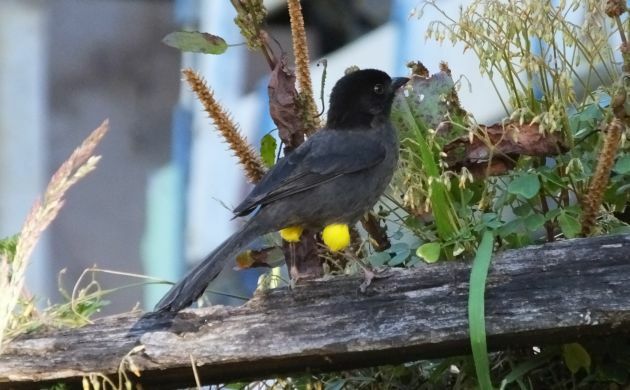 Species that come to mind are Black-cheeked Warbler, Flame-throated Warbler, Large-footed Finch, Yellow-thighed Finch, Black-thighed Grosbeak, Highland Tinamou, and Buff-fronted Quail-Dove. 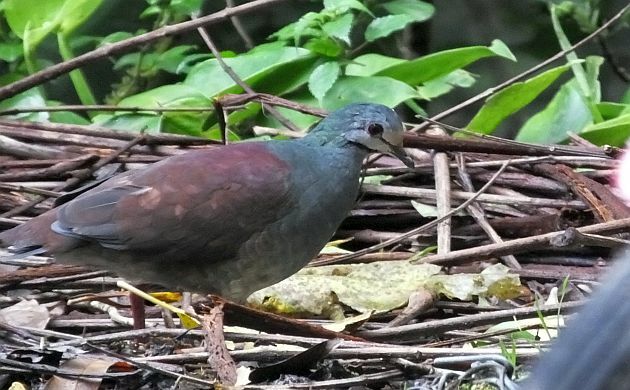 The beautiful Buff-fronted Quail-Dove is not rare but you still have to go to the right places to see it. All of the above need wet, highland forest habitats, and although we can’t make any real conclusions from one morning, their absence on the route supports my suspicions that they have been declining in that area. 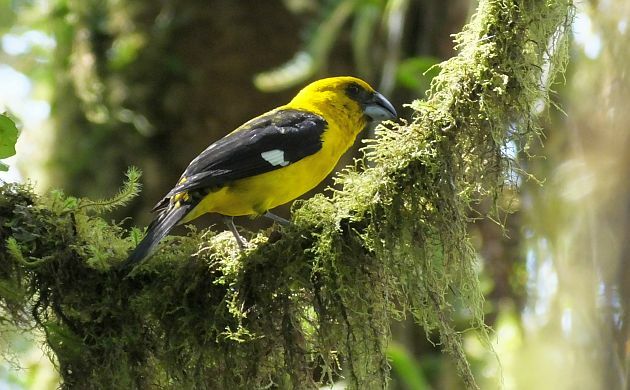 Most, like the Black-thighed Grosbeak, are also endemic to Costa Rica and Panama. Not all bird survey news is bad, though, because several species did seem to be just as common as past years. Those ones were Spot-crowned Woodcreeper, Streak-breasted Treehunter, Hairy Woodpecker (yep, a local variety lives there! ), Gray-breasted Wood-wren, Ochraceous Wren, Golden-browed Chlorophonia, and Long-tailed Silky-Flycatcher. Not to mention, I did hear a Resplendent Quetzal as well. It was at the point with the best habitat. Fiery-throated Hummingbird also seems to be doing well. 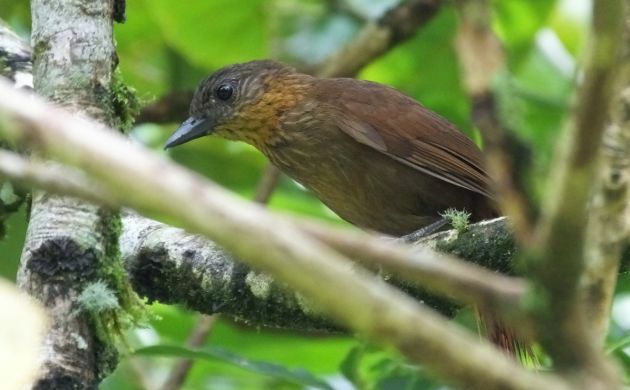 Since so many tropical forest species are naturally rare or just don’t feel like singing, if I did the same count tomorrow and the next day, I wonder how those counts would differ? Would other species be detected? Would others be no-shows? I wish I had the time to find out! Wow, that Fiery-throated Hummingbird is phenomenal! Look, I am all for the brown underdogs and such, but whoa – that Hummer is amazing! @Jochen- if it makes you feel better, they almost never look like that, only when the light catches them at just the right angle. Some nice, plain brown birds here as well (although still falling short of the amazing degree of similar drab shown by the Phylloscops). However, I will see if I can post about some.